Link building for e-commerce sites has always been the most challenging and profitable elements. Somehow, this rewarding activity of promoting the e-commerce site tends to be difficult because of highly commercial content, complex information architecture and very little differentiation. Lack of high quality backlinks: A strong profile of backlinks is dependent on inbound links from high-authority sites. Getting these type of backlins, however, is difficult for retailers as they are often not the subject of news-worthy articles. Those in the e-commerce space, however, should check out Help a Reporter Out to see if there are journalist queries that they could contribute to. Difficulty in internal linking: Since there are countless pages on an e-commerce site, it becomes difficult in determining which pages to be linked with each other internally but similar products, blogs about products, etc., are a good place to start. No links for the deep pages: The homepage is undoubtedly the base page for all internal linking efforts. However, it is essential to get links for the rest of the pages on the site. The category and the sub-category pages are quite important and thus it is crucial to build links to all the internal pages. 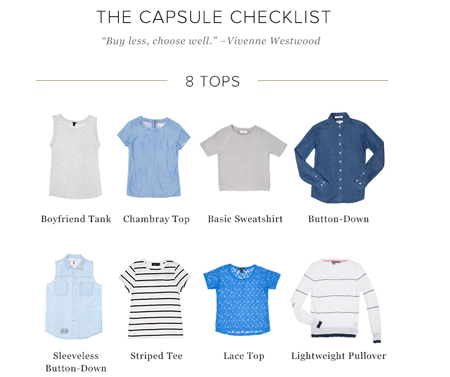 There are thousands and, at times, tens of thousands of pages on an e-commerce site. Google might seem to know all, but it is still a challenging task for Google to know which pages should be given more importance. Internal links are there, but not planned: It’s evident that internal linking is not as fun as external linking. In order to succeed with your e-commerce site, you need a strong presence on search engines. For this purpose, you need to dominate the rankings with organic search. The overall hierarchy of your site and the way you link internally is vital. This sends out a message to Google about the importance of the various pages on your site. One more problem with internal links is that it takes a lot of click to reach to the bottom pages of the site. The key pages are not grouped and are not properly linked from the homepage. Too many similar links: Having too many links of the same type could invite the Penguin penalty for your website, because just as over anchoring this could be a sign of manipulating with SEO. If you are getting too many links from directories, sites with similar PageRank, blog comments and the same area on each linking page, chances are your website will be found suspicious. This brings up the question how to develop a consistent and durable link building strategy for an e-commerce site. The purpose of this post is to only outline the best link building ideas that will surely work its way to rank you well on search engines. Have a blog and create evergreen content on it: A blog could prove to be the most powerful link building weapon, if used in the right manner. Most blogs created on e-commerce sites are wasteful as they only carry certain product announcements and offers. Promotions and offers definitely should have a place on the blog; however it shouldn’t be the only concentration. You should be creating great content that appeals to your audience in an organic, non-promotional way so people actually want to share the content (similar to how online consignment store ThredUp does). Create Backlinks from Brand Mentions: Having customers would mean that they are talking about your company/brand online. The mention of your brand happens without actually linking to you. If the mentions are abounding, you will be able to get some of the best links on the globe with a breeze. If these people are already talking about your site online, you just need to nudge them to turn your mention into a link. The best tool that works for this purpose and finds the right mentions around the web is Mention.net. This tool will surf the Web for mentions of any keyword on the Web, including the names of a brand. You just need to create an alert that will notify you through email when it finds a mention. If that site has mentioned you without a link, get in touch with the webmaster or the owner of the website and ask them politely to link to your site. This way, if a blogger or some other website is writing about the above mentioned phrases, you could reach out to them and build relationship. You could again politely ask them for a link by, maybe giving a discount code for shopping on your website. Authorized Retailer Link Building: You are definitely working with a lot of manufacturers out there regardless of what you are selling on your site. These manufacturers have their own authorized retailer pages on which they mention the offline and online retailers whom they trust the most. If you are not on this list, simply send them an email and ask. As long as you look trustworthy, they’ll link to you without a problem. Guest Posting: Guest posting is an amazing way to get the links directly to the category and product pages that you desire to rank. Discover those sites that write about the products, the page for which you want to rank and see if they accept guest posts or not. Leverage more from sales/deals pages: Another less used link building technique is to maintain the deals/sales page on your site fulfilling the SEO requirements by having indexable content, static URL, incorporating targeted keywords on the page and more. Keep the same URL and revamp it every time there is a new deal or sale offer on your site. For instance, let’s say that you are giving away amazing deals on the Halloween Day. Target bloggers and sites dealing in coupons and let them know about the same. When bloggers report about this sale to their readers, they will without fail link to that page for their readers’ interest. You could keep the page once the sale is over and revamp it whenever you have a new deal. Reverse engineering competitors’ links: Lastly, there is nothing better than just checking out your successful competitors’ backlink strategy and leveraging it in your own strategies. • This is the most imperative phase of any SEO campaign and helps in understanding how they rank for certain keywords. • Check out the authoritative pages or domains from where your competitors are getting links and try to acquire the same with a perfect outreach. • A thorough competitor analysis will help you in understanding the best link building practices in your industry and will help in strategizing the same for your campaign. Reviews: By providing a reputable blogger a free product, these influencer reviews are a great way of getting in front of an audience with a valuable contextual link (which sometimes directs readers to an exlclusive discount). 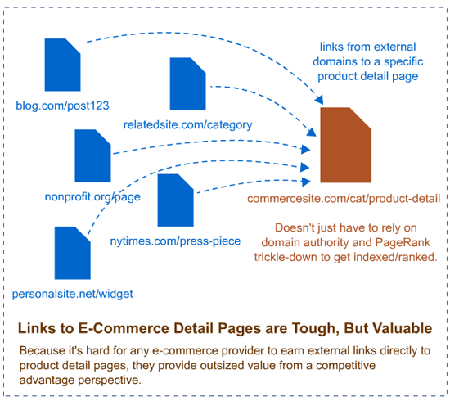 Link building is hard work and e-commerce link building could be difficult in particular. A number of e-commerce sites face various challenges with regards to link building, however keeping in mind the challenges, mistakes and the tactics given here can help you in measuring your success. However, link building comes down to creativity and finding innovative ways to get the links. The author Morna Collins is an expert in Magento development and possesses a wide skill set for developing and designing e-commerce websites for an international clientele.